Apple’s iTunes Store offers video files for sale. The store’s page for each film has details on what options are available for buying, along with the prices. Browse the videos you want to watch and purchase them by clicking the Buy button. Hundreds of films are available to buy with prices starting range from $14.99 for new releases to $9.99 for most other films. Movies you purchased from the iTunes Store are protected by Digital Rights Management (DRM). There are so many restrictions and inconvenient in the purchased iTunes M4V videos because of apple DRM copyright protection. iTunes purchased movies can only play on Apple devices. And the iTunes DRM will limit the number of the playing devices, no more than five apple devices. If you want to share them with others, sharing only works on devices with iOS 8 or later or OS X Yosemite or later. That's to say, although you have paid for the full movie, you don't have the right to use it without limit. Buy again? It is too bad. Don't worry! M4V Converter Plus can help you to remove the drm and convert the iTunes M4V movies to unprotected video or audio formats. 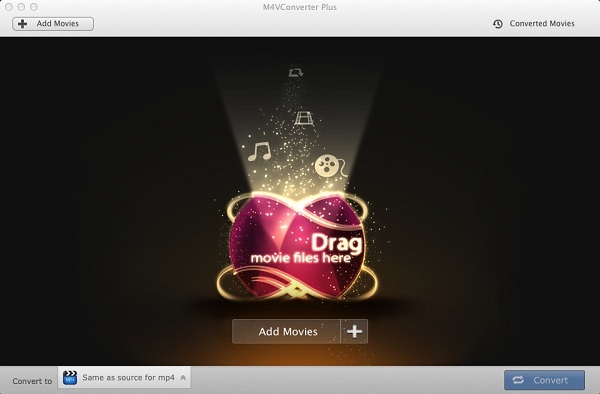 M4V Converter Plus is an all-in-one and easy-to-use iTunes movies Converter. With it, you can remove DRM legally and easily convert any purchased or rented iTunes videos to almost standard video formats which could be played any non-apple devices at 30X faster speed without any quality loss. Besides, it supports converting iTunes M4V videos you purchased to Quick Time MOV, iPod, iPhone formatwith high speed and great quality. Moreover, the program supports batch conversion, you can convert several M4V video files at one time with high conversion quality. In addition to converting iTunes DRM protected M4V videos, M4V Converter Plus also help users to play M4V videos on any devices like iPhone, Xbox, PS3, Kindle Fire, Galaxy Series, etc. If necessary, you are also allowed to rename your M4V files, split big M4V files into small segments and then convert plain video formats whenever you want. 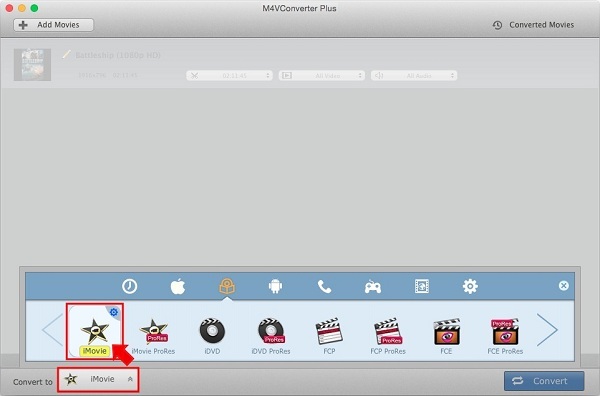 The following is the step-by-step guide about how to convert iTunes movies to plain video formats with M4V Convert Plus. To know more about this M4V converting program, just go and have a try. 1. 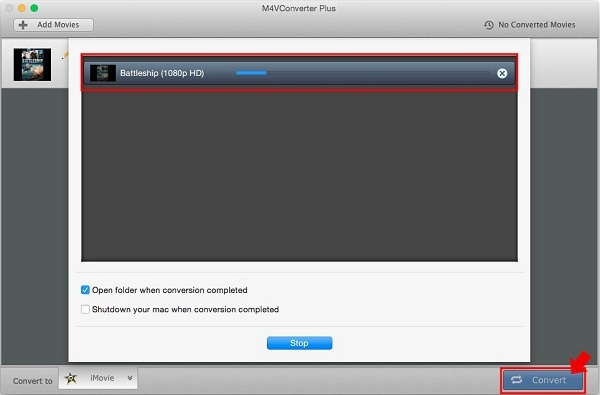 Free download this M4V Video Converter. Install and launch it. 2. Add purchased iTunes M4V videos you want to convert. Click Add Movies button, search M4V videos according to the name, then select the videos, hit Add button. Click Convert to profile panel on the bottom left to open the format setting list and select iMovie as output format. Besides, you can also set the video or audio parameters by clicking the gear icon at the top right corner. 4. Click Convert button to start the conversion. When converting complete, you can select one of these video files, and then play it to view video effects whether it is satisfied, if not, you can re-customize.